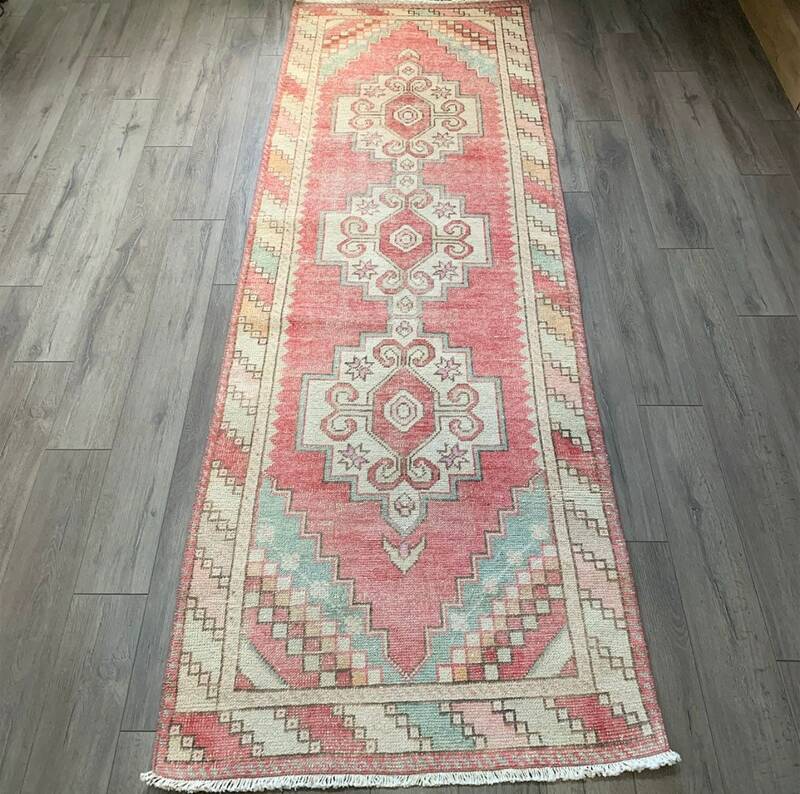 9’5” x 3’1” Low Pile. 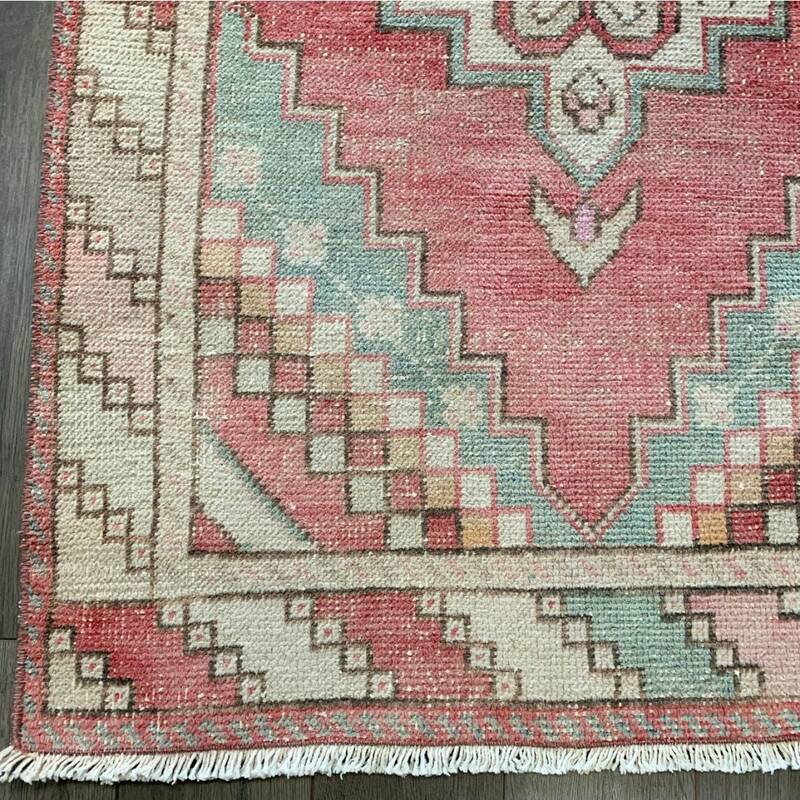 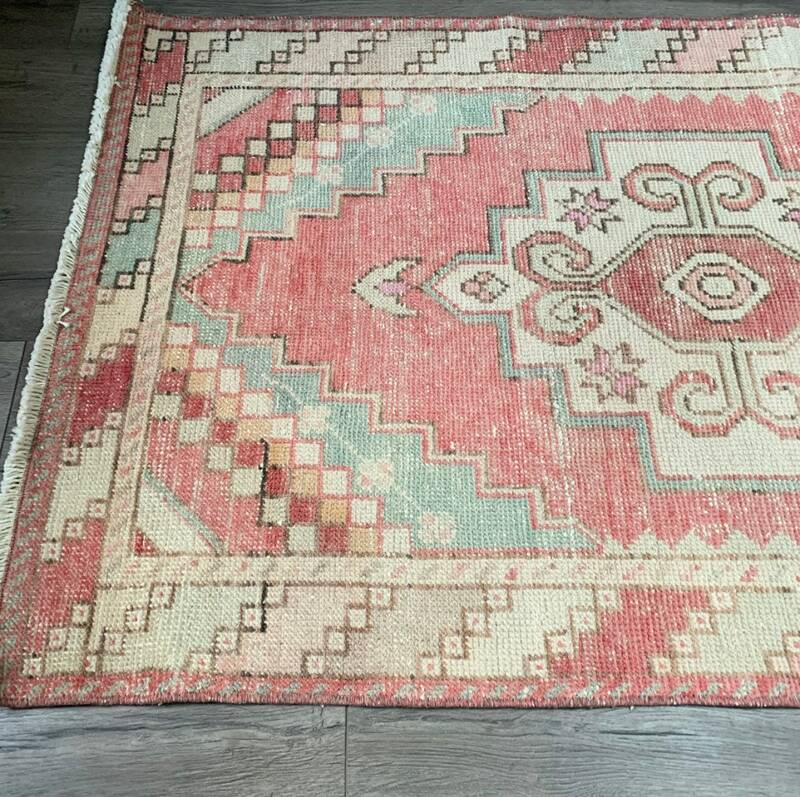 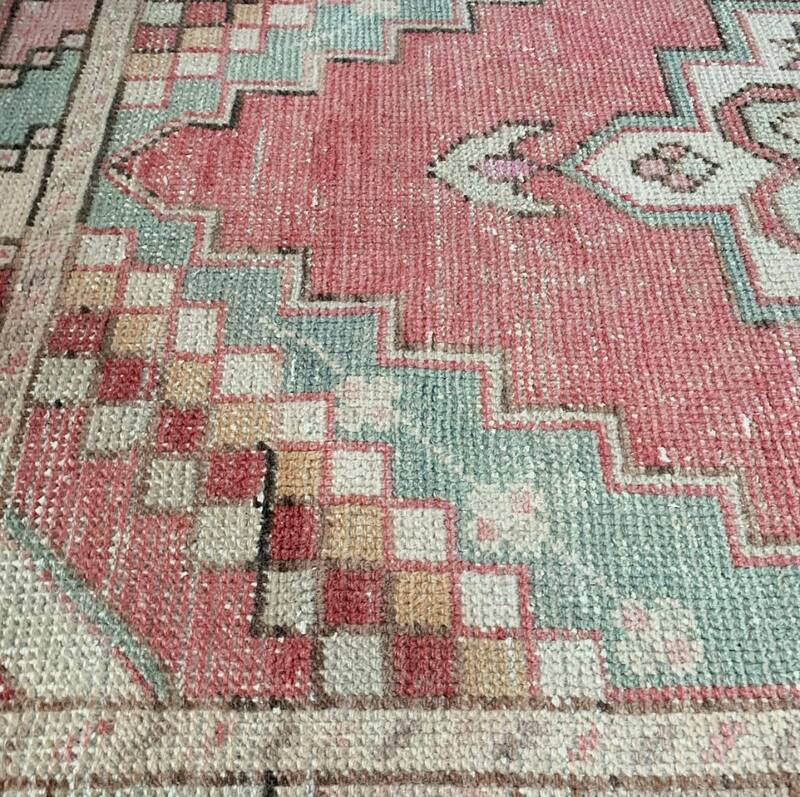 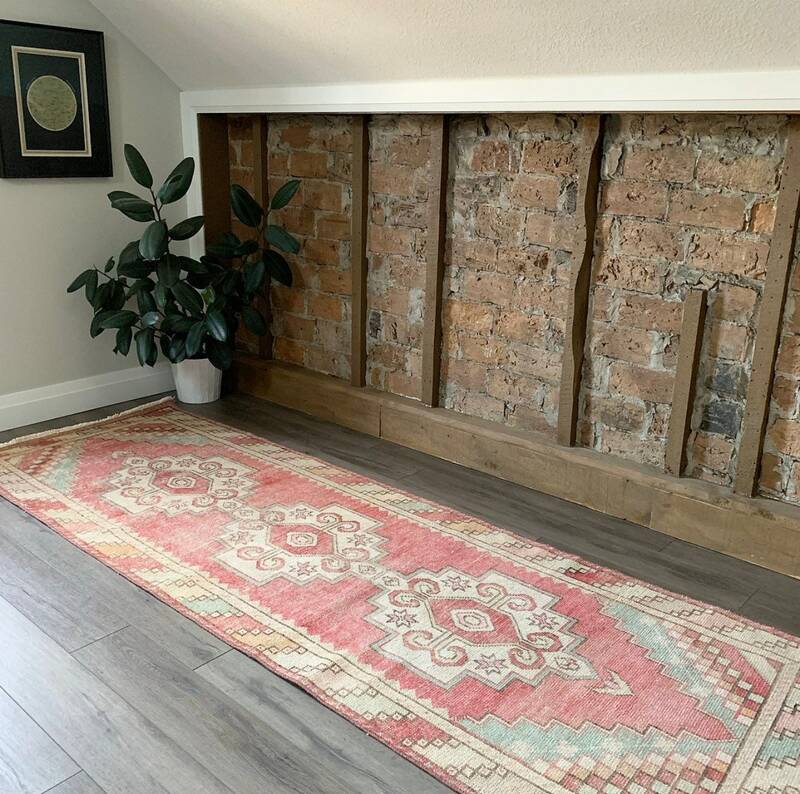 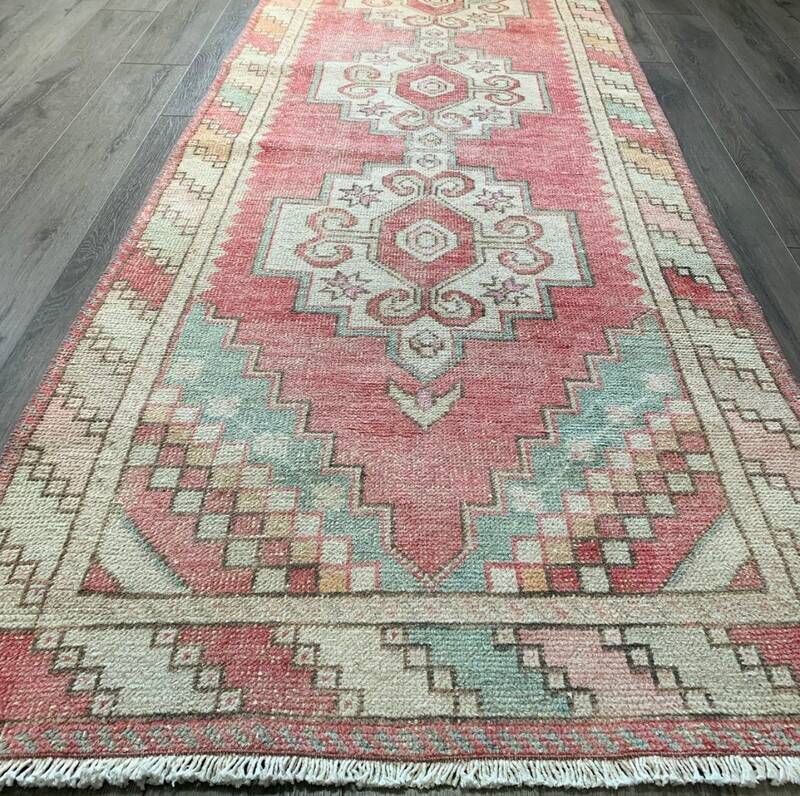 Are you hunting for a vintage rug with the perfect faded pastels and reddy-pink base? 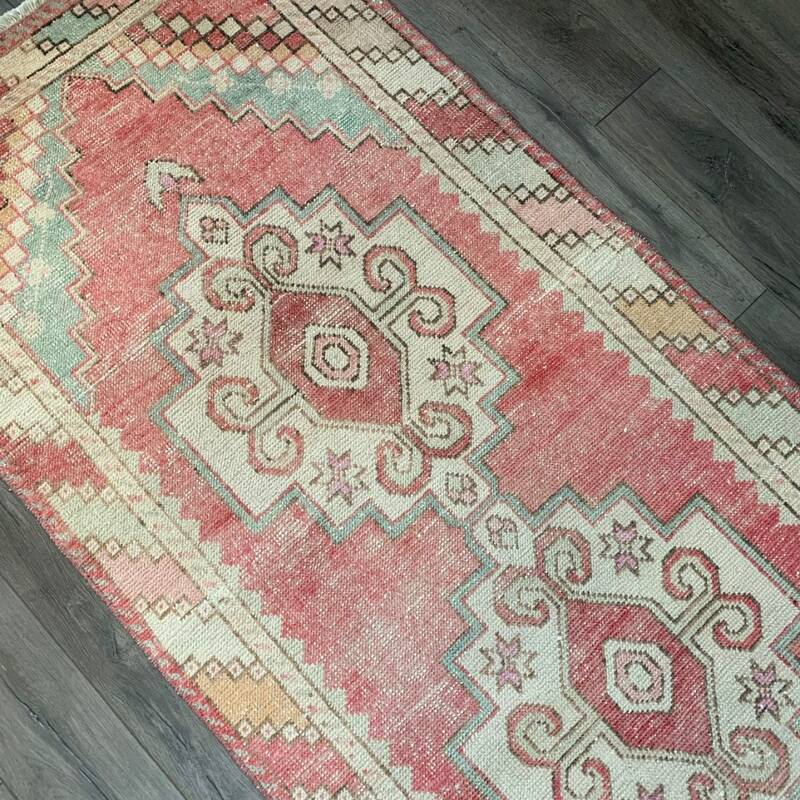 This rug has cheerful colour for days! 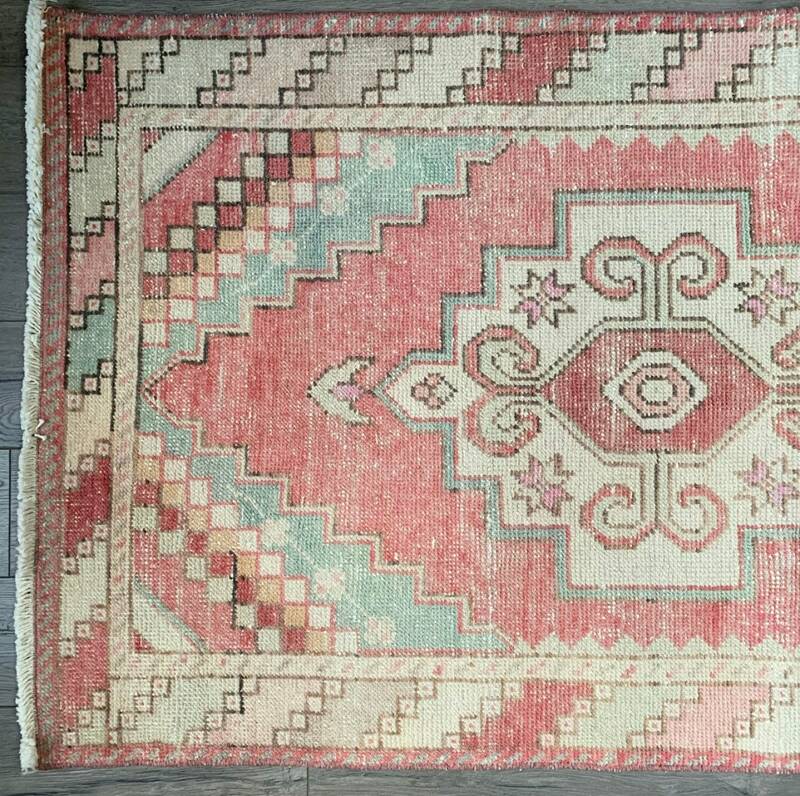 Characterized by a triple medallion design on beautiful pink field, with well-preserved pastel blue, orange, and pale pink details, this rug is destined to be a conversation piece! 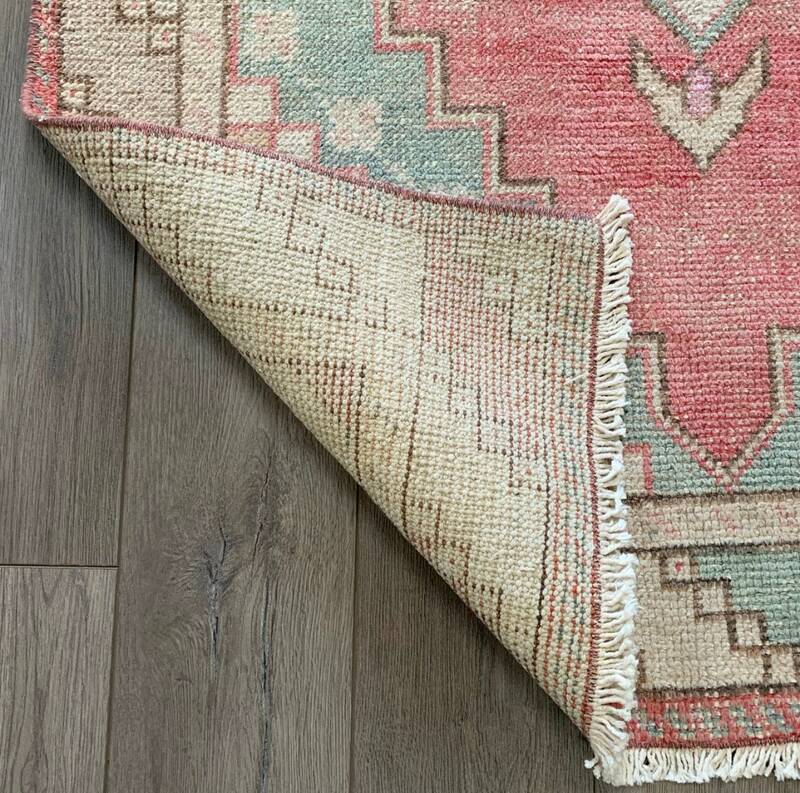 The perfect size for a kitchen or hallway, Turkish rugs are durable and easy to clean. 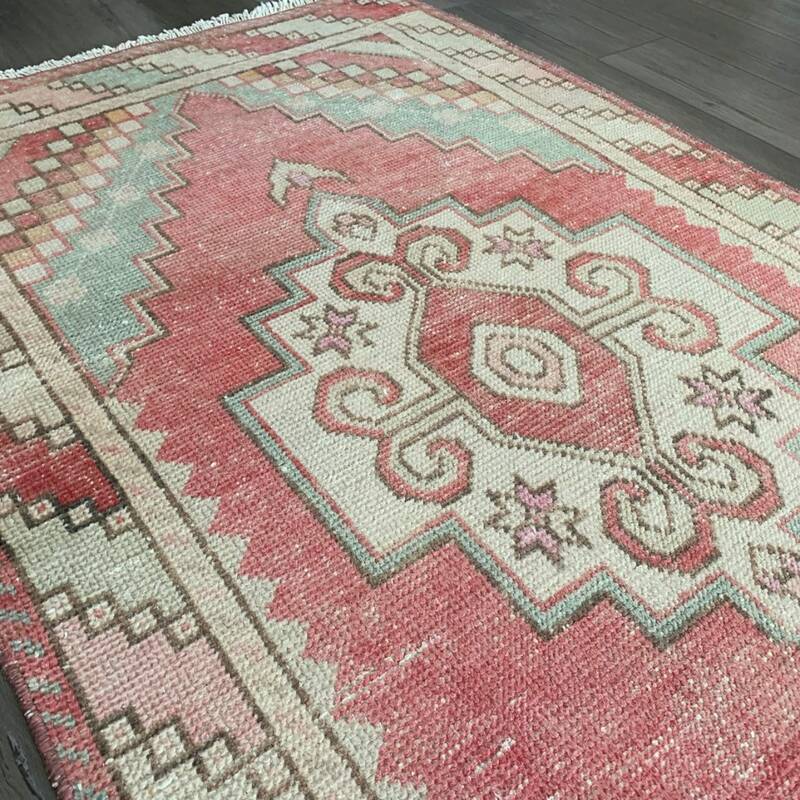 This rug is a one of a kind gem.